The premise of this book…the heart of this book is the disappearance of Nora Lindell. An ordinary neighborhood, a Halloween Party and Nora is never seen or heard from again. The most amazing aspect of this book is that we do not find out what happens to Nora. The story unfolds from the eyes of an unknown narrator. This narrator is one of the neighborhood boys and the entire telling of this story is from the view of this boy who seems to be telling the story from a “we” perspective. This narrator speaks for all of the boys in the neighborhood as they are boys and as they grow into men…men with wives, babies and families of their own. There are many and varied theories about what happened to Nora Lindell and all of them are believable. I wanted to believe all of them except for the one with the saddest outcome. Each concept was presented in an orderly believable manner. I was caught up in each idea…I found myself saying to myself…”Yes, I can see that happening or of course, of course…that is what happened”. But again we never truly know. 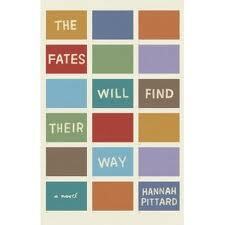 Hannah Pittard has written a truly beautiful and mesmerizing book. I was caught up in adolescent anxiety and school and parties with neighbors and college and aging and pretty much life in general. The realization for the narrator that this is what life is…being young and then being old and all the life stuff in between. It truly is a lovely lovely book. This sounds wonderful! I'm glad you loved it! Really looking forward to reading this one! I've heard it compared to The Virgin Suicides, which I really enjoyed, so I'm psyched to start. Glad you loved it!